This was a fully hidden movement scenario. Two players played British and the other two played the Germans. No one knew what forces the other person had, not even those on the same side. Each player had his own specific objectives to fulfil. The scenario was designed such that enemy forces were sooner or later bound to run into each other. The scenario was so named because players kept running into each others' ambushes. 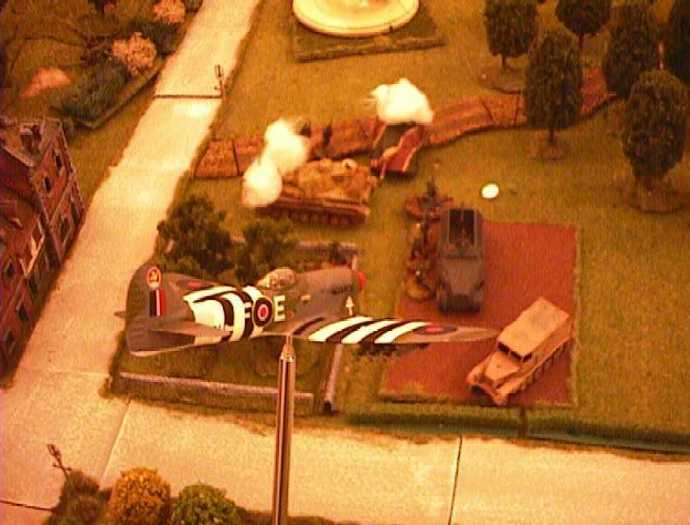 There was even one ambush in which German forces in a house ambushed British forces in the same house! The Players: (Front row L-R) Napnuts Wahj, Arjun and Dominic. 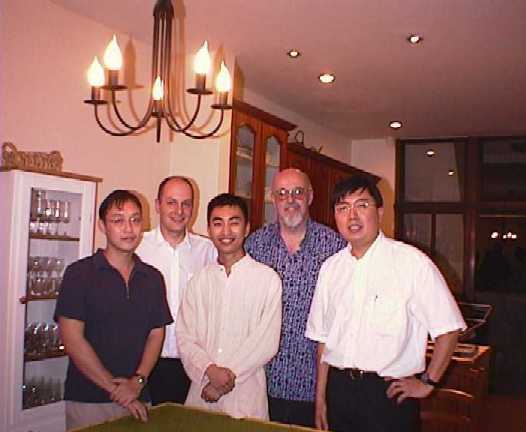 (Back row L-R) New napnut Paul, and visitor from the US, Paul Koch. First Blood! 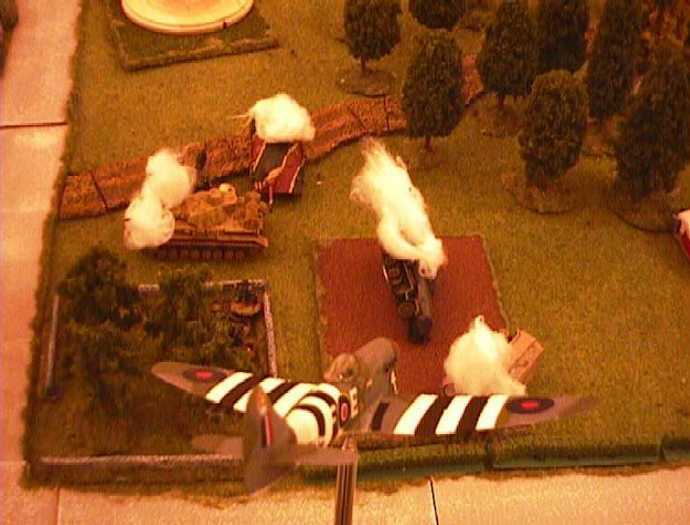 British para 6lb AT gun takes out a beautifully painted Hetzer. 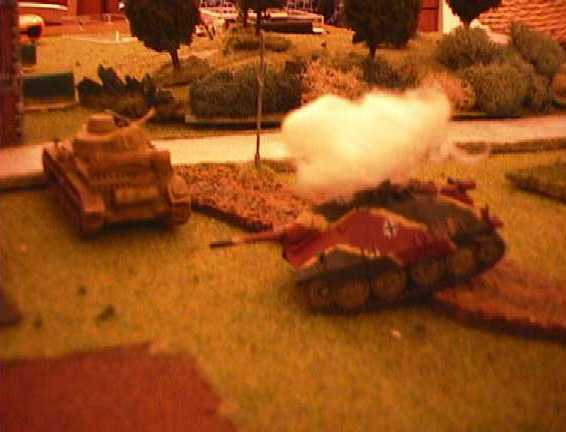 PIAT Team in orchard ambushes the second German Panzer! 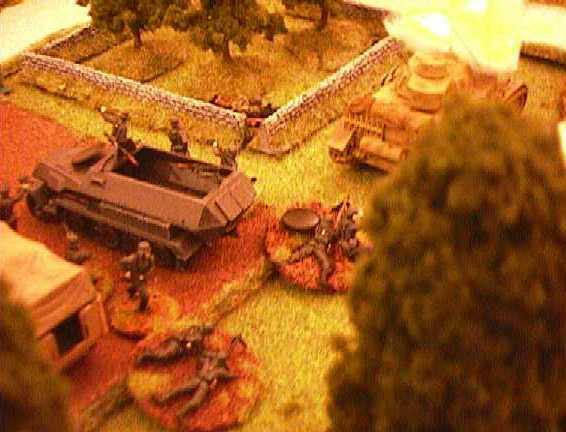 Panzergrenadiers dismount to take out the PIAT. Allied air support to the rescue! The aftermath of a successful strafing run. German wrecks litter the battlefield. 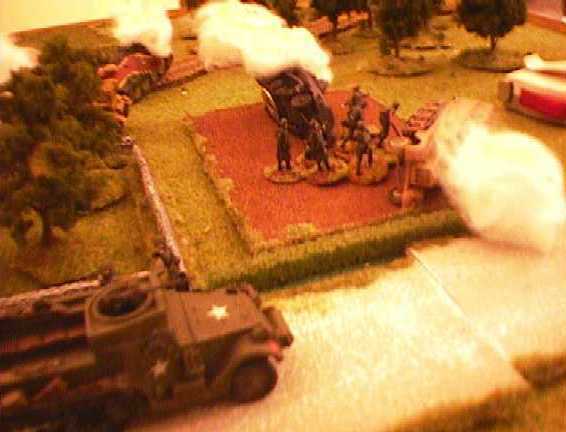 The Germans make a break for it, while Hans and Georg rush the American halftrack.